When a parent is identified as being the favored parent and accused of undermining the relationship between the other (rejected) parent and their child, the favored parent may feel discouraged and indicate that he/she is doing everything possible to promote the parent-child relationship. The favored parent will often insist that he/she does not speak ill of the rejected parent, but rather encourages the child to communicate with the rejected parent. The favored parent may pronounce that the child’s rejection is a direct result of the rejected parent’s (in)actions and/or behaviors. The favored parent may also be inclined to attribute the child’s rejection to the rejected parent’s disposition and/or some other personality and/or behavioral flaw of the rejected parent. The favored parent may indicate that the child no longer wants to spend time with the rejected parent and that he/she cannot and should not force the child to do so. What can a parent do? It is important for mental health professionals to realize that when working with families that the reason for rejection may be based in some fragment of reality. It is vital, however, that the favored parent does not mischaracterize the incident, behavior, and/or personality trait of their co-parent (the rejected parent). A common example is when a rejected parent has had an inappropriate response to anger during an isolated incident(s) in which he/she resorts to screaming and/or shouting at the child. Consequently, the child may have developed a fear reaction to the rejected parent. In addition, although the fear response by the child was observable in the past, it has now developed into a momentous concern by the favored parent. What can a parent do? Do not embellish your co-parent’s flaw, which only serves to further exacerbate fear(s). 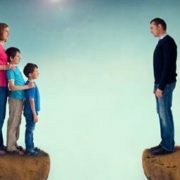 When it comes to faults, rather than resorting to a myopic view, consider how the rejected parent’s flaw(s) were managed during the marriage/partnership. It is unlikely that your co-parent was flawless during the marriage/partnership. 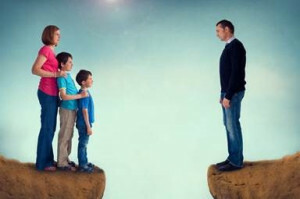 Perhaps the rejected parent’s temperament was an irritant during the marriage/partnership, however, it notably was not the reason for the relationship’s demise. What can a parent do? Do not let the rejected parent’s temperament serve as weapon of rejection that can be used to sever the relationship with the child. A common example observed by mental health professionals is a rejected parent who has worked outside of the home in order to provide the favored parent the opportunity to remain at home with the child. During the marriage/partnership, the rejected parent’s working hours were sometimes a frustration, however, he/she also earned an income that provided for many of life’s extras. Therefore, during the marriage/partnership the long hours were acceptable. When soccer games or dance recitals were missed on occasion, positive sentiments were made, such as telling the child that the rejected parent did not want to miss the event, and that he/she will attend next time. What can a parent do? If the rejected parent went above and beyond to pay for activities and/or other extras during the marriage/partnership, do not use time as the weapon of choice after the marriage/partnership has ended by depicting the rejected parent as “absent” and/or “uninvolved” co-parent. Promote time with the rejected parent as valuable. Do not schedule activities that your child values during the rejected parent’s parenting time. Do not simply say you will cooperate, show that you will cooperate. Enforce your parental authority. If your child reports they do not want to spend time with the rejected parent, consider how you make your child eat dinner, go to school, and/or any other activity that your child may not want to engage in. Encourage the importance of family. Share positive memories with your child about the rejected parent’s extended family. Do not overact when your child tells you something negative about the rejected parent. Do not overschedule your child so that the child does not miss out on valuable time with the rejected parent. Seek help from a well-trained and experienced professional who is skilled in working with children, families, and resist/refuse dynamics. Monika Logan is an owner and the Director of Texas Premier Counseling Services, PLLC (Texas PCS) located in Frisco, Texas. She specializes in Parental Alienation as well as troubled, damaged, and/or strained parent-child relationships. She provides counselling services for parents and their children in conflict and/or those struggling with issues related to separation and/or divorce. Ms. Logan offers Parenting Facilitation Services to help parents reduce conflict, and she helps repair parent-child relationship breaches as a Reunification Counselor.